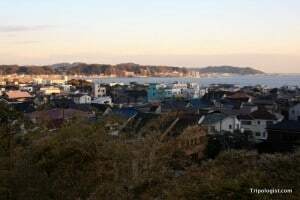 Despite Japan’s well-deserved reputation as being one of the most technologically advanced countries in the world, it also has the reputation for a calm serenity not often found in the hustle and bustle of the country’s large cities. Fortunately, Japan has been able to balance the pressures of modern life with the serenity of its cultural past. In towns such as Kyoto and Nara, its the history of the Japanese civilization that dominates the landscape, pushing modern conveniences into a supporting role. Unfortunately, though, despite the easy of transportation throughout Japan, Kyoto and Nara are too far-flung for many short-term travelers to visit. Fortunately, though, for those who don’t have the time or money to make it down to Japan’s ancient southern capitals, there is another fantastic option. Sitting only an hour outside of Tokyo, Kamakura is a great place to see Japan’s ancient history come to life. 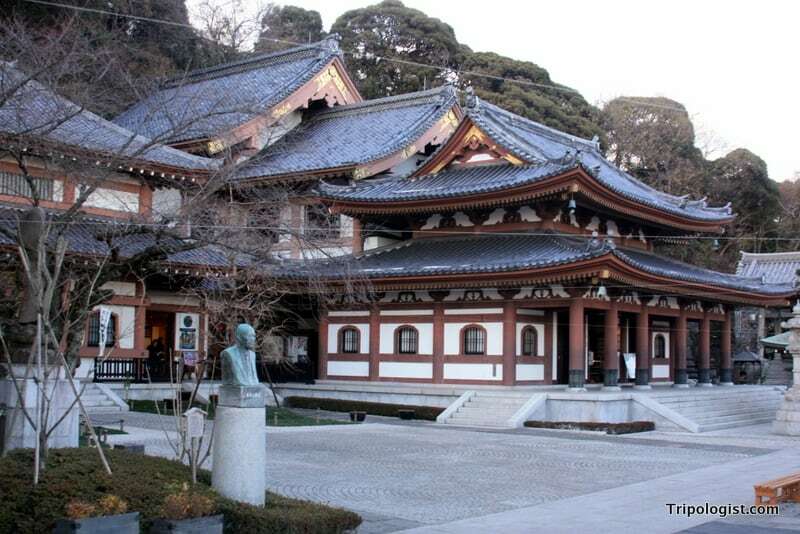 Having served as the capital of Japan from 1185 – 1333, Kamakura offers a dose of Japanese history without the travel time or overwhelming crowds of Kyoto. The town of Kamakura is part Tokyo suburb, part seaside resort, and part museum, creating an intriguing mix for those looking for a pleasant day trip away from the hustle and bustle of downtown Tokyo. 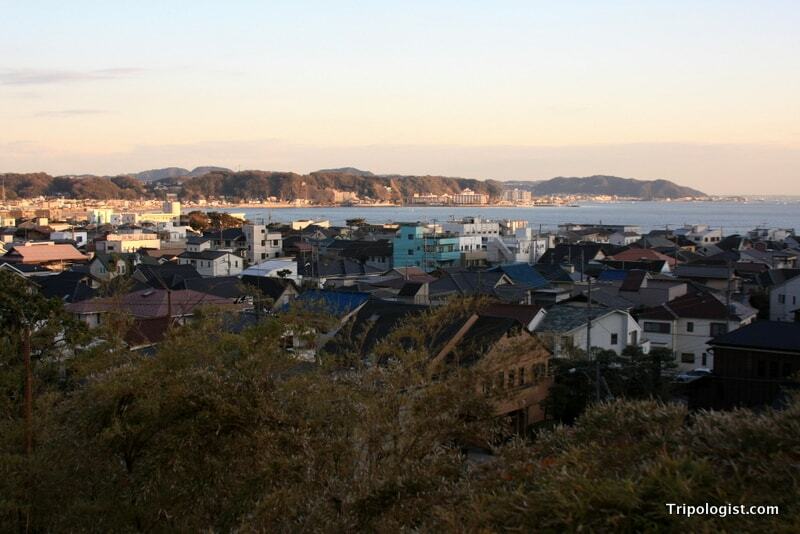 The town of Kamakura, Japan as seen from Hasedera Temple. 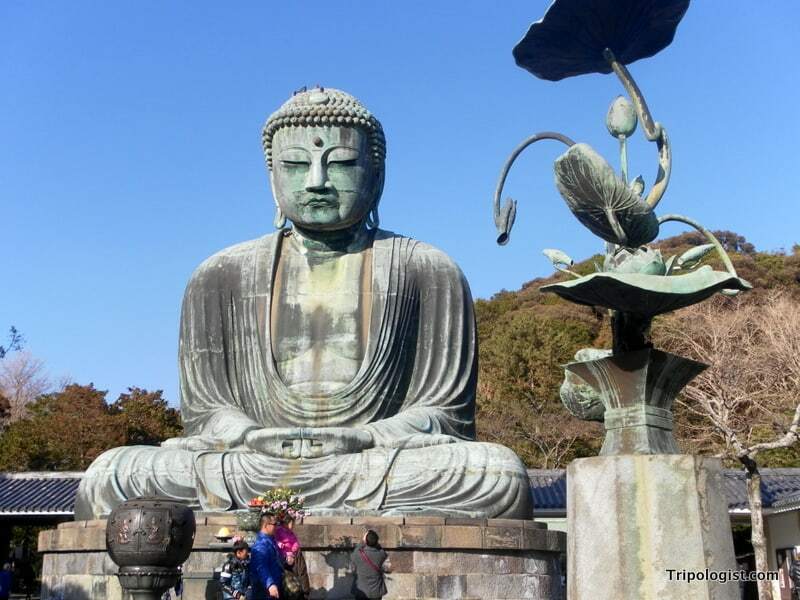 And, while there are many mesmerizing temples scattered throughout the hills surrounding Kamakura, the most awe-inspiring site is clearly Daibutsu, also known as the giant Amida Buddha statue of Kamakura. Located on the grounds of Kotoku-in Temple, the statue sits over 13 meters tall and is more than 700 years old. 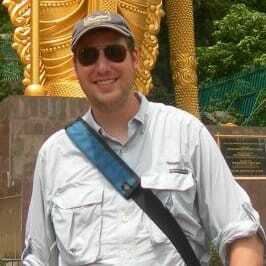 Standing next to the second tallest Buddha in Japan, it’s easy to feel dwarfed. After all, the statue’s ears are longer than most visitors are tall. The statue is so big, in fact, that visitors can inch through the narrow passage at the statue’s base for a look at the hallow inside of the massive Buddha. The temple surrounding the Buddha is just as old, though it has been rebuilt on several occasions, having been destroyed by both earthquakes and tsunamis at various points throughout history. While unremarkable compared to many of its contemporaries in Kyoto, the temple itself is still pleasant. While there, make sure to note the giant sandals in one corner, designed to fit the giant Amida Buddha. They have to be one of the, if not the, largest pair in the world. Getting to Kamakura from downtown Tokyo is fairly straightforward. Hasedera, one of the many great temples worth visiting in Kamakura, Japan. First, make your way to Shinjuku station or Shibuya and catch the JR Shonan Shinjuku line, or go to Tokyo Station or Shinagawa Station and take the JR Sobu line; both lines stop at Kita-Kamakura Station and Kamakura Station. From Jochiji Temple, follow the signs for the Daibutsu Trail, a 1.4 kilometer hike through the forested hills on the outskirts of town, which leads past several quiet temples before arriving near Kotoku-in Temple and the giant Buddha. After visiting Kotoku-in Temple, consider checking out the nearby Hasedera, another fantastic temple with great views of the town, or taking a walk down to Kamakura’s small beach. From either, a short walk or tram ride will take you to Kamakura Station for the trip back to downtown Tokyo. No matter what you do, however, Kamakura is a worthwhile trip for those visiting Japan, whether you can make it Kyoto or not. For more information on how to get to Kamakura, as well as a map of the town, head over to the excellent Japan-Guide.com.